1.5 5. 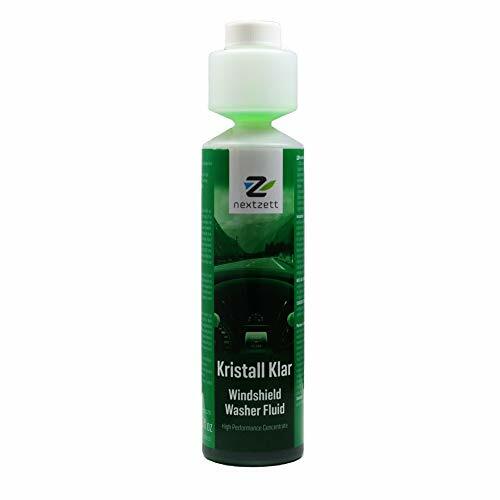 Nextzett 92100815 Kristall Klar Washer Fluid Concentrate – 8.5 fl. oz. 1.6 6. 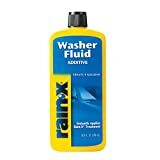 Rain-X RX11806D Washer Fluid Additive – 16.9 fl. oz. 3 WHAT IS IN WINDSHIELD WASHER FLUID? 6 HOW TO MAKE HOMEMADE WINDSHIELD WASHER FLUID? There are few things more important to safe driving than having a windshield that is clean and in proper working order. Cracks in windshields, dirty windshields and obstructed windshields can not only contribute to an accident but that accident could be deadly too. That is why proper windshield maintenance is essential for anyone that owns a vehicle. In this article, we will try to help with that. We will discuss not only ways to keep your windshield in top condition but will also review some of the best windshield washer fluids. SIZE : 8.5 fl. oz. SIZE : 16.9 fl. oz. Here is the most interesting concept of all the types of windshield washer fluids we took a look at. This one comes in tablet form. Think of it as the Alka-Seltzer of windshield washer fluids. Once the tablet has been dissolved in the proper amount of water it will surprise you how well this mixture works. It is by far the most cost-effective windshield washer solution of all the ones we tested. You get several pills in a sleeve and these pills will each make one gallon of windshield washer fluid. There was one thing that bothered us about this product. It did seem to build up a light haze of residue on the windshield area where the wipers do not reach. 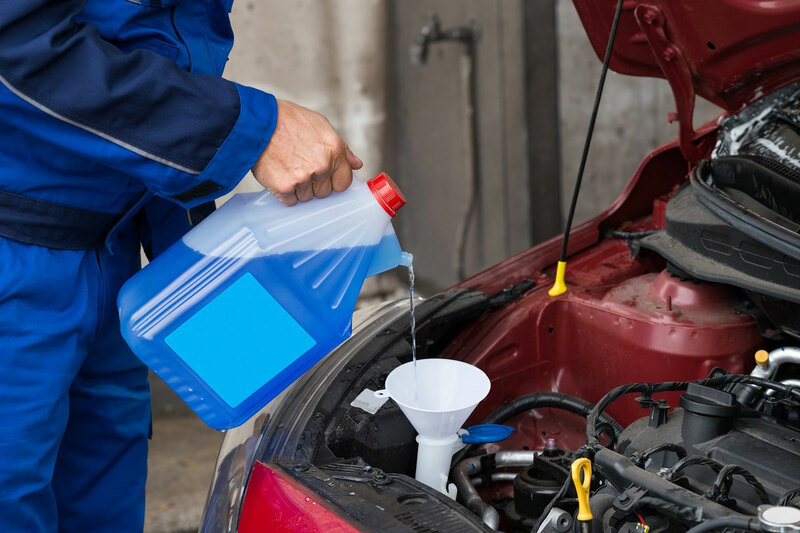 Prestone is not only a big name when it comes to antifreeze but it is also a big name when it comes to windshield washer fluid. 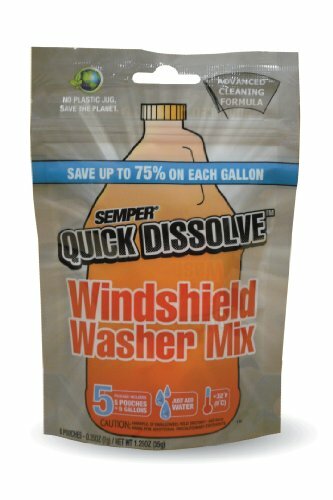 This is an excellent gallon size windshield washing product that they offer here. 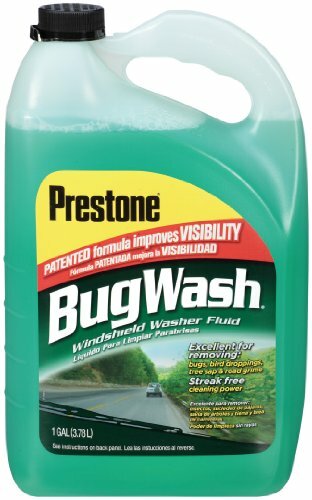 Not only does it help get the dirt off your vehicles windshield but it will even eat away at the bugs that get on it too. It will even fight off tree pollen and bird poo too. This product comes in a pleasing fresh citrus scent too. We tested it on a windshield that was loaded with tree sap and tree pollen and it impressively took it off. It took a few passes with the windshield wipers where it was thickest but it still came off. We have to say that even though this product may be the best windshield washing fluid in the auto marketplace it is also very pricey. This stuff can run you as much as a ½ of a tank of gas. Don’t be shocked by the small bottle this windshield washing fluid comes in because that bottle is full of very good, concentrated windshield washer fluid. There is enough in there to make several gallons. Once pumped on your windshield it does a nice job of getting the dirt off in a streak free manner. We like the way when you add this product to water it takes the freezing point of the windshield mixdown. Depending on the concentrated percentage you put into a gallon of water it can keep it from freezing as low as 2 degrees Fahrenheit. The product goes very fast when using it as a winter type windshield washer fluid mix. So it’s best to keep a couple of bottles of it handy during the colder months. Here is another concentrated powder mix that will save you money as opposed to buying windshield cleaning solution by the gallon. This stuff works really well getting off road grime and attacking the residue left over from bug hits. On concentrated pouch of powder makes one gallon of windshield washer fluid. Not only does it work well but it is a very green product, to say the least. It will greatly reduce the carbon footprint that is normally associated with using windshield washer fluid in hard to dispose of plastic jugs. We did not like the smell of this product at all and we also noticed that it is not a good product to use in winter because it does nothing to lower the freezing point of the water it’s mixed with. 5. Nextzett 92100815 Kristall Klar Washer Fluid Concentrate – 8.5 fl. oz. This is a pretty good product from Nextzett that is also very easy to use. It is a windshield washer fluid concentrate that you mix with water to get it to work effectively. It’s concentrated enough to make 7 gallons so it makes the final price of a gallon of windshield washing fluid very inexpensive. It has a pleasing citrus smell to it also. This stuff really attacks the different types of residue that typically get on your windshield. It did a nice job of removing bugs, road grime, and tree pollen. This is yet another windshield cleaning product that does nothing to lower the freezing point of the water that it is mixed in with. You can’t use it in colder climates. 6. 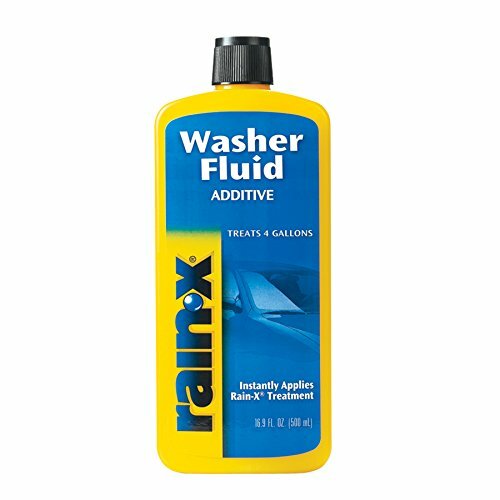 Rain-X RX11806D Washer Fluid Additive – 16.9 fl. oz. 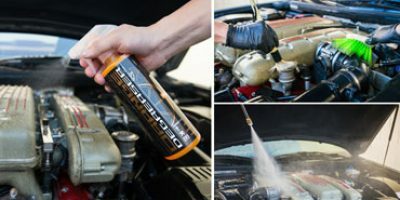 This is more of a windshield washing additive than it is a true cleaner but we added it to our list for one reason; it does not have to be a cleaner because once applied it keeps grime and residue from even sticking to your windshield in the first place. That is the very reason why Rain-x products are so popular. We love the way this repels the rain as it hits the windshield. It works so well you did not even have to use your windshield wipers in the rain unless it’s a downpour. As we mentioned the biggest drawback to using this product is it does nothing to help clean the existing grime and residue that has already gotten on your windshield. You may be one of those do it yourself people that can practically build a house if you want and can easily do repairs on your vehicle too. Then again you may also be one of those people who has never even looked under the hood of their car. For the latter, adding windshield washer fluid to your car may seem like walking across the glass in your bare feet. Adding window washing fluid to its proper reservoir is a lot different than many people think. 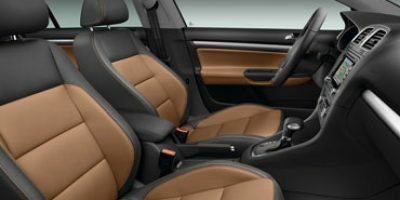 One thing that makes it difficult to add windshield washer fluid to your car is that no two washer fluid reservoirs ever seem to be in the same spot under the head; not to mention there are several other plastic fluid reservoirs that look similar to it. Check your owner’s manual for the proper location of your windshield washer fluid reservoir. Another thing that makes it difficult to fill your fluid reservoir is that today’s modern engines are full of wiring, hoses and other lines that make access to your windshield washer fluid reservoir difficult at best. All these things can be worked around if you take your time and gently move them out of the way. Now that you have located your windshield washer fluid reservoir and cleared everything out of the way that can be moved, it is now time to add the fluid to it. 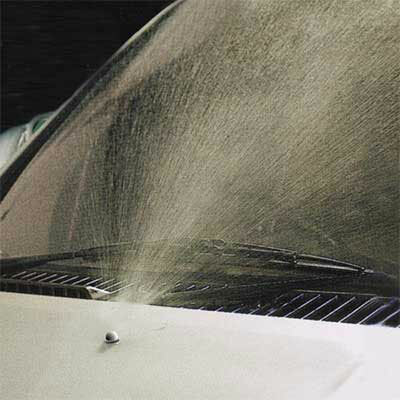 You should never add any fluid to your reservoir that is not specially made for cleaning your windshield. It is also advisable not to add straight water into the reservoir because it has no detergent capability and may freeze solid and become useless in the winter months. First of all, find the cap that covers the reservoir. Most of these just pop on and off but some actually screw on and off. 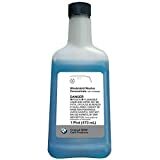 It is hard to handle a gallon size jug under your hood so if that is what your new windshield washer fluid came in then you may want to consider putting some in a smaller container to make filling your washer fluid reservoir much easier. If your washer fluid reservoir has a large opening that is easy to get to then you can just pour your fluid slowly into it. For access that is tougher you may want to consider using a clean plastic funnel; be sure there is no oily residue inside the funnel or other grime because it will totally defeat the purpose of trying to add washer fluid to clean your windshield. There is a fill line clearly marked on most reservoirs and that is where you want to fill it to. Try not to go over the fill line because it may cause your washer fluid pumping system not to work right. It is very important that after you are done filling the windshield fluid reservoir that you put the cap back on it very securely. You also want to wipe up any excess fluid that may have spilled while you were pouring it. We told you that you have to be careful when you make homemade windshield washer fluid with ammonia because it can be harmful if you breathe it or get it on you too. The same is true with commercially purchased windshield washer fluid. It most likely will contain some harmful chemicals if it is in liquid form. So you have to be very careful when you handle it too. What is the most harmful ingredient found in many windshield washer fluids? That would be methanol. It is an alcohol based product that is known to dry quickly and have some cleaning properties to it also. Not to mention, it takes the freezing point of windshield washer fluid way below that of normal freezing temperatures. It is a must-have product in windshield washer fluid that is working in colder times of the year. You have to be very careful when you store unused windshield washer fluid. It is often brightly colored so it attracts children because they think it might be a tasty juice. The result of accidental ingestion can cause serious harm to a child’s body and even death. So if you have leftover windshield washer fluid put the cap on extremely tight and store it up high out of the reach of a child or in a locked cabinet. So be sure to handle and store windshield washer fluid properly at all times. If you drive long enough you are bound to experience it at one time or another and that is a problem with the glass in your windshield. You can hardly go anyplace these days on a road and not experience something like windblown debris, rocks or any number of other projectiles that inevitably wind up hitting your windshield. Many times when an object hits your windshield it simply bounces off and nothing happens but other times you may not be so lucky and get a chip or a crack. Your windshield is so important that you should not drive with even the smallest of cracks in it. Fortunately, these days windshield repair is not only very advanced but it’s very inexpensive too. If you have been driving long enough chances are at one time or another an object hit your windshield so hard it made you jump out of the driver’s seat. It happens a lot more often than we would like to think. Many times when this happens it will chip, crack or even break your windshield. When it does it is always best to get a repair or get the windshield replaced. The most common impacts on windshields are caused by road debris such as rocks being kicked up off the tires of other vehicles; this is especially true when it comes to big trucks. Other things that cause impact to your windshield include blowing objects and objects that are thrown. This is a biggie and occurs much more often than companies that install windshield glass like to admit. Improperly installed windshields can vibrate, flex or get stressed from being installed to tight. None of these things are very good for your windshield or will help it last longer. So make sure you check the reputation of any windshield installation company you are thinking about hiring before you let them install your new windshield glass. Windshields tend to go through a variety of temperature changes during a typical day and this is not at all beneficial to the life of your windshield. Your windshield experiences a lot of extreme temperature changes throughout a typical day. An example of some of the things relating to windshield temperature that is hard on it would be you get in your car after the sun has been beating down on your windshield all day and turn on your air conditioner as soon as you start to drive. Over time, the expansion and contraction that your windshield goes through as it’s temperature changes can lead to such things as stress cracks being formed around the edges of it. Even though the glass that goes into making windshields does not shatter as it did in the old days, it still is not considered to be anywhere near the quality it was many years ago. The best quality windshield glass is usually the factory glass that was originally installed on your vehicle. Replacement windshield glass is not very well respected by glass experts these days. Material defects can and do happen much more often than people think. These types of events while driving damage windshields in a number of different ways. This is not limited to direct impact only during accidents by any means. Accidents can cause debris to fly and strike the glass and they can also cause windshield glass to flex and vibrate during that accident. The effects of an accident on a windshield can also be felt long after it occurred; such as the case when an accident causes a windshield to be slightly misaligned and a stress crack results from this several months later. So be on the lookout for these things that can lead to potential problems with your all-important windshield. There truly is nothing worse when driving than not being able to see clearly out of your entire windshield. If you drive long enough things are inevitably going to happen to your windshield. The trick to keeping you safe and stress-free when driving is to keep your windshield as clean as possible at all times, make sure the windshield washer fluid is always topped off and to quickly replace your windshield if it develops cracks, chips or breaks. One important part of keeping your car windshield in tip-top working shape is its windshield wipers. These simple mechanical devices have been clearing windshields and helping save lives almost as long as the automobile has been around. It is hard to imagine what driving would be like if you did not have them. Just like with your windshield, your vehicle’s windshield wipers will also go through a lot of conditions that can damage them and keep them from working at peak efficiency. When these things happen you don’t necessarily have to replace your entire windshield wiper setup. Windshield wipers are not a complicated device. They consist of an arm, a metal blade with rubber on one side and a motor that moves them back and forth across your windshield. That come in extremely handy when it rains, snows or the windshield gets dirt and grime on it that needs to be cleaned off as you drive. Here are some maintenance tricks you can perform on your vehicles delicate windshield wiper system when they are not performing as expected. This is very typical of what will happen during times of cold weather. It may mean there is a buildup on your windshield or on your wiper blade too; neither of which is a good thing to have. When this happens you will need to give both your windshield and your windshield wiper blades some attention. Start by making sure there is no residue on the windshield itself. Also, scrape off any ice that has accumulated on the windshield. Clean any ice that may have accumulated on your wiper blades too. If it is not cold out and you are experiencing this condition, then most likely the rubber part on your windshield wiper blades is worn out or has gotten too hard to function properly. 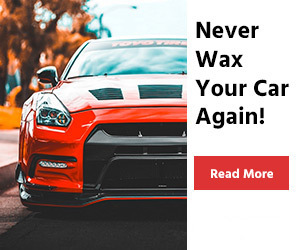 In this case, you will need to replace your windshield wiper blades. There are not many things that are more annoying when you drive than listening to your windshield wipers chatter as they work. It can be very nerve-racking and distracting, to say the least. Most people do not realize this is a sign that something is amiss with their windshield wiper blades. When this happens it does not always mean the problem is with your windshield wiper blades. Before you go to more drastic measures, first clean off any oil, grease or ice that has gotten on your windshield. If that does not work, you must then check the alignment on your wiper blades next. If all these other things are not a problem then you should replace your wiper blades. Here is another scenario where the problem may not be your windshield wiper blades themselves. There is a possibility you can have some type of residue built up on your windshield that is causing this; so start by thoroughly cleaning your windshield. 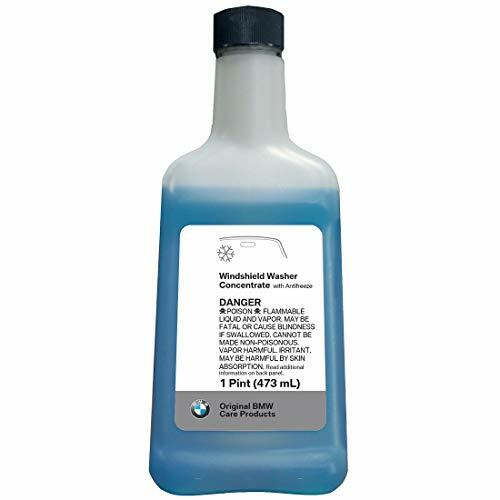 Poor quality windshield washer fluid may also be a culprit here so you will need to check that. If none of these is the problem then go ahead and replace your windshield wiper blades. To keep your windshield wipers you should do two things on a regularly scheduled basis. You should get in the habit of replacing your windshield wiper blades every year; this is best when done just after the winter months. Also, you should treat your windshield with a water repellent so you do not have to use your windshield wipers as much. HOW TO MAKE HOMEMADE WINDSHIELD WASHER FLUID? We get asked this question all the time. Can you make homemade windshield washer fluid? The answer is yes but it is definitely a step down from the better windshield washer fluid products in the auto parts marketplace. The little bit of time and effort it takes to make your own windshield cleaning solution will save you some money and will work especially well in the warmer months. Many people are familiar with the fact that most window cleaning products use ammonia in them. That is because it dries very quickly without streaking. The only problem is that by itself it is not a powerful degreaser or cleaner. That is why it is necessary to add the dish soap to this mix. You start by taking adding one gallon of water to a clean container (for a perfectly pure mix try adding distilled water but it will increase your cost slightly). Make sure you use a container you can cap when finished. Next, you will add one heaping tablespoon of liquid dish soap. To finish the mix you will then VERY CAREFULLY add ½ cup of ammonia into the solution. Ammonia can be hazardous to work with so do not inhale it or get it on your skin. Cap and shake well. This is by far the simplest way to make homemade windshield washer fluid. First, you fill a one-gallon container with water. Next, you will add in one level cup of a generic or brand name glass cleaner. Cap the container and shake well. Once you have made your mix you will need to test it out first before filling your windshield fluid reservoir with the new mix. You could potentially have big problems if you pour it into the reservoir without testing the mix first. To test your new homemade windshield washer fluid you want to dampen the corner of a soft cloth with it. Next, you apply it to a very inconspicuous place near the edge of your windshield. If your new mix wipes the windshield clean without leaving a residue when it is suitable to pour into the windshield washer fluid reservoir. All of these homemade windshield washer fluids will usually work pretty well during the warmer months but may well freeze in the colder winter months. There is a way you can prevent this from happening and that is by adding some isopropyl alcohol to your windshield washer fluid mix. You don’t just want to add this mix to your car right away, though. The first thing you should do is leave it outside overnight if the temperature will go below freezing or put it in your freezer and see if it stays liquid. If it does not freeze then it is ok to put into your windshield washer fluid reservoir. $$ 8.5 x 2 x 2 inches 8.5 fl. oz. $$ 7.1 x 7 x 9.5 inches 16.9 fl. oz. 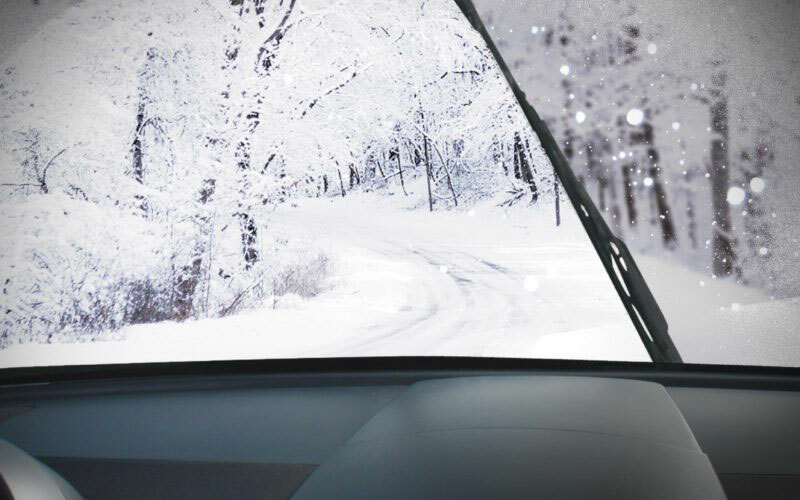 A clear windshield is really important to keeping you and your loved ones safe as you drive. You don’t want anything on it that will take away from your ability to see perfectly through it. That means you don’t want any cracks, chips or spider veins embedded in it. Also, keep it free from dirt and grime by adding the best windshield washer fluid you can buy and keep the washer fluid reservoir full at all times. All these things will truly add up to a much safer and stress-free driving experience for you. We hope you enjoyed the windshield washer fluid reviews!